Legal proceedings and intimate family dynamics dovetail in Custody. Starring Viola Davis as an embattled family court judge with a fraught marriage of her own; Hayden Panettiere as a recent law-school grad flung into a custody case; and Catalina Sandino Moreno plays the single mother at the center of the case who risks losing her two children over an ill-timed argument. Written and directed by acclaimed playwright, James Lepine (Into The Woods). 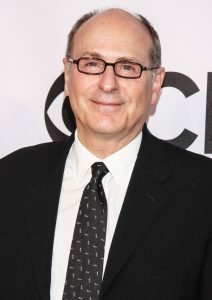 James Lapine was born in Mansfield, Ohio and attended the California Institute of the Arts in Valencia, California. While teaching at Yale, Lapine directed a Gertrude Stein play, Photograph. The play was enthusiastically received by the New York Times and won Lapine an Obie award. Lapine wrote the screenplay for the film version of Into the Woods directed by Rob Marshall and the film Custody which he also directed which premiered at the Tribeca Film Festival. He has been nominated for twelve Tony Awards winning on three occasions and has received five Drama Desk Awards and the Pulitzer Prize. Named by Variety as one of their 2014 “10 Producers to Watch,” USC Film School Grad Katie Mustard has exploded onto the movie industry scene, producing 17 projects in just the last 3 years alone. Katie’s priority is story and story first, producing films across all genres, from dramas like Exposed (Keanu Reeves), Shelter (Jennifer Connelly) and Night Catches Us (Kerry Washington, Anthony Mackie), to thrillers such as Paramount’s box office success The Devil Inside, and comedies such as We’ll Never Have Paris (Simon Helberg, Zach Quinto) and Ideal Home (Paul Rudd, Steve Coogan). 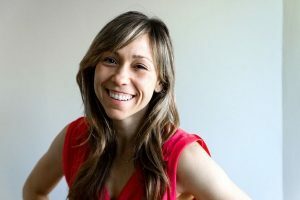 In addition to producing nearly 30 movies to date, Katie was selected as one of eight US producers for the TAP Producing Fellowship, sponsored by the Independent Filmmaker Project, she serves as a physical production advisor to the Venice Biennale Cinema Fund granting financing to 3 filmmakers per year, and she is currently working as a Production Executive for Netflix Original Movies. Most recently, Katie Produced Tony Award winner James Lapine’s film CUSTODY with Viola Davis and Ellen Burstyn, STICKY NOTES with Ray Liotta and Rose Leslie, and her first Virtual Reality dramatic series. Katie sets the standard for the indie filmmaking world.